Hello, Xiaomitoday fans!! 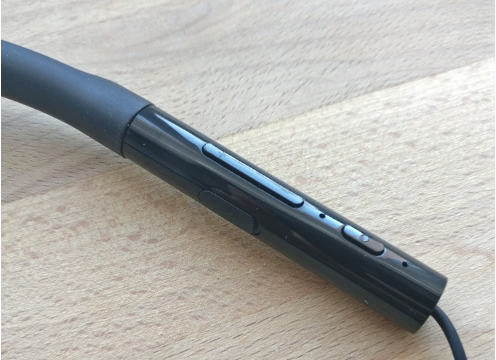 Today we have a different slightly different gadget to share our experience with you from Xiaomi. 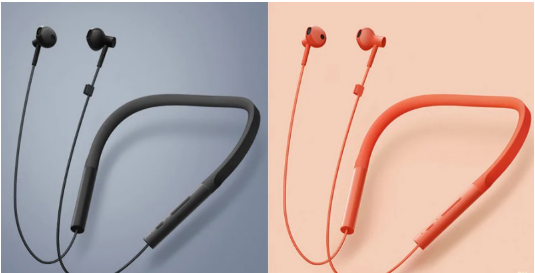 The Xiaomi LYXQEJ01JY Bluetooth Earphones is a latest iteration to the Xiaomi in a hoop or necklace form factor. 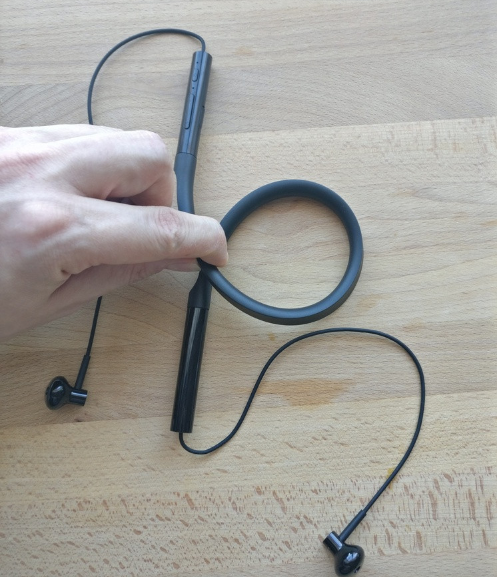 The latest earphones come with the presence of a hoop around the neck. 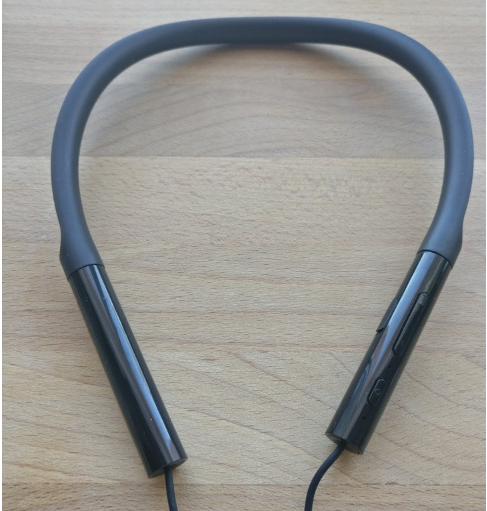 Firstly we thought it was very inconvenient to have a hoop around the neck always, but these Bluetooth earphones from Xioami changed our perspective about them. Now its time to dig more and find out is these earphones worth your money. Let’s start from the start. 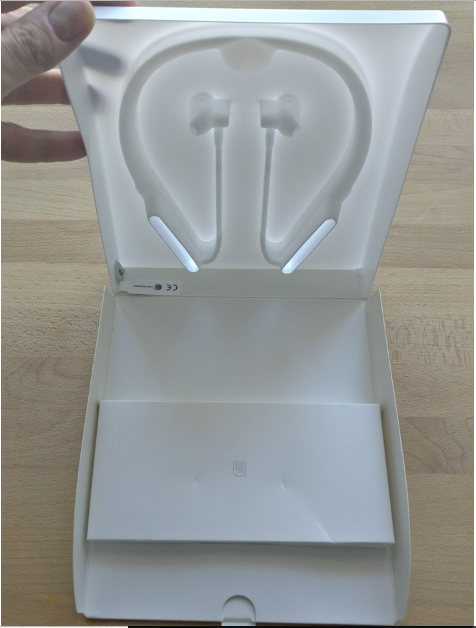 The Xiaomi LYXQEJ01JY Bluetooth Earphones comes in usual Xiaomi style white packaging. All the inscription and specification of the device with the model number is written on the back side. 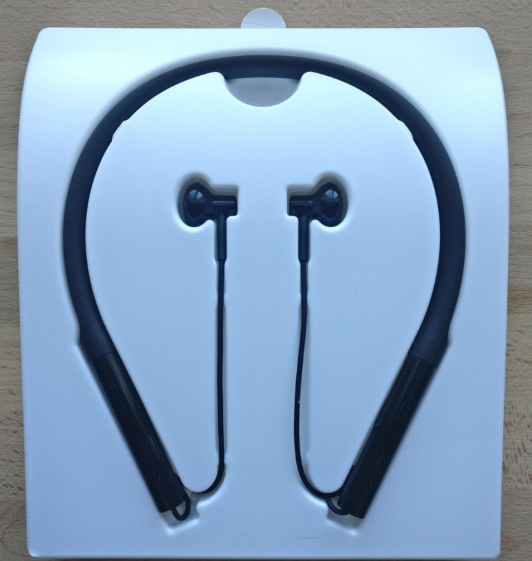 Inside the packaging, there are earphone themselves. Also, in the section under them – instruction manual. This is everything you will get inside the delivery package. 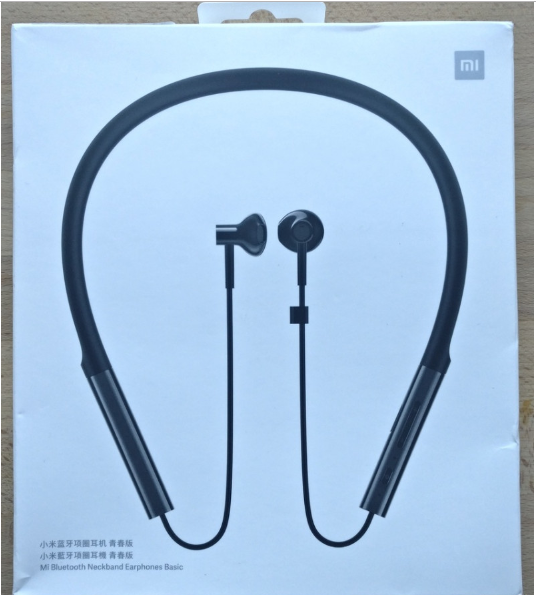 The package only contains Xiaomi LYXQEJ01JY Bluetooth Earphones and the instruction manual. 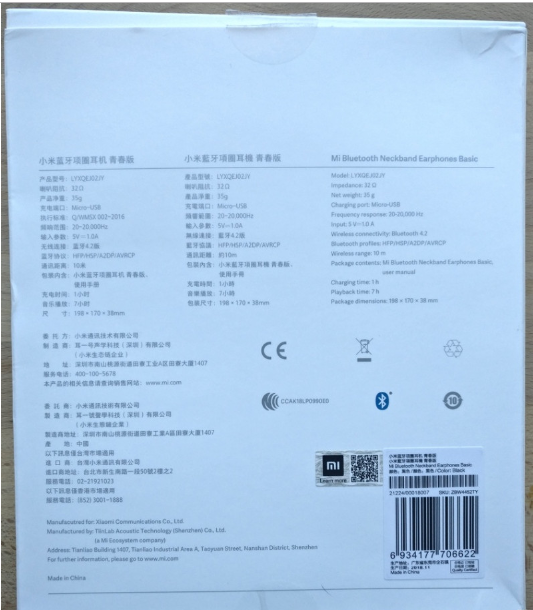 The micro-USB cable for charging the device was not present inside the box, but it does not matter as Xiaomi believe you will be already having a micro USB cable. 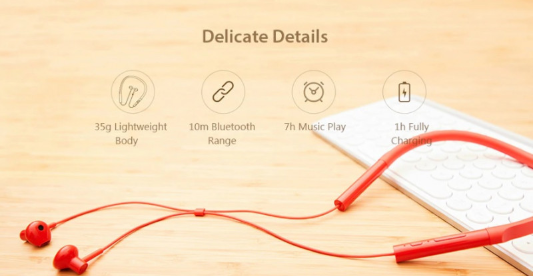 The Xiaomi LYXQEJ01JY Bluetooth Earphones are available in two colors – black and red. There is one thing to notice, the red color earphones are cheaper than the black one, we don’t know why. We chose the black one of course. 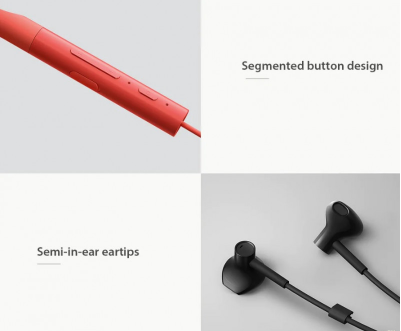 Regarding the feature of the device, firstly the Xiaomi has released the earphones in the form of a drop, which helps the device in keeping it inside the ear quite well and also does not interfere with the perception of the surrounding sounds. Actually, the design is pretty similar to Apple headphones. 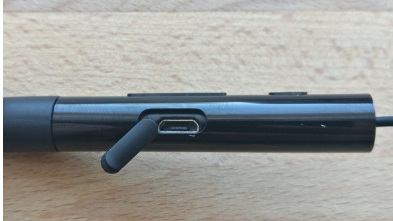 The second feature of the device includes the positioning of all the controls of the headphones, and the charging port is on the plastic part of the hoop. 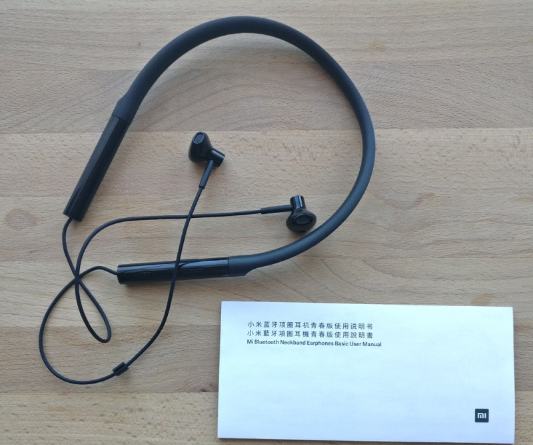 Overall the Xiaomi LYXQEJ01JY Bluetooth Earphones looks pretty decent, the quality of the materials used is excellent, and the shape of the headphones is familiar to us, as many of you, I suppose. 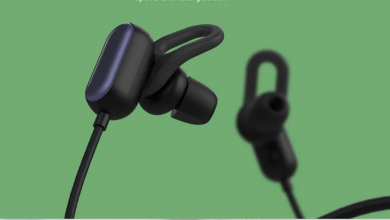 Overall the shape of Xiaomi LYXQEJ01JY Bluetooth Earphones comes with some pros and cons associated with them, and we will let you know about them in detail. 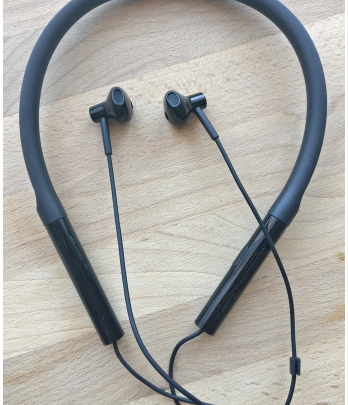 The thing is that the shape of these earphones is excellent for those who just want to use this device as a headset to talk on the phone, while not falling out of the outside world. However, this feature will not be liked by those on the road, who want to distance himself from external noise and immerse himself in watching a video, listening to an audio book or favorite music. 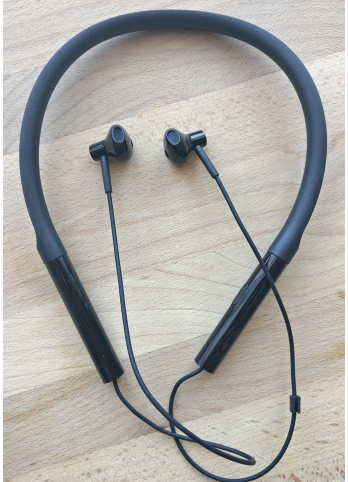 For those who want to use these headphones while gymming or jogging this form will be very appropriate, but to listen to them in the subway or plane is not very pleasing. Now for the hoop part, it is made of flexible rubber, slightly curved at the back, very pleasant to the touch due to the soft touch effect, the ends of which end in plastic inserts. 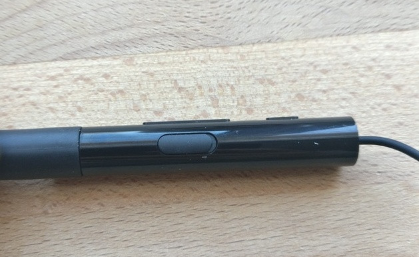 The right part of the plastic insert is plain and does not carry any controls, on the left plastic insert there are three buttons on/off and volume control rocker), a microphone, a LED and a micro-USB connector for charging. Firstly, it seems very illogical to us that the “+” button unwind the track back and on the contrary, “-“button switches the track forward. However, we notice that the “+” button is located on the hoop closer to the neck, and the “-” button is not, so as if the spatial concepts are observed that the “back” button rewinds and the “front” button move forward. Once again, the flexible part of the hoop bends very well and efficiently. 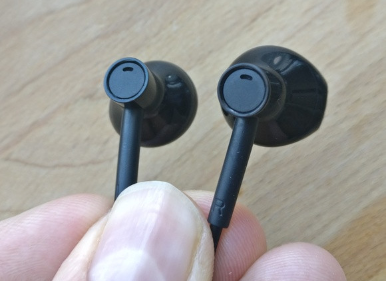 As we said earlier, you can charge the Xiaomi LYXQEJ01JY Bluetooth Earphones via micro-USB connector, which on the left hoop. Of the claimed 137 mah we got 106 mah. The Xiaomi LYXQEJ01JY Bluetooth Earphones takes around 60 minutes to get fully charged, however, in our test charging time was 51 minutes. Also with 70% of the volume, the earphones playback time was 7 hours and 10 minutes, in which 10 minutes we talk on the earphones. So the stated values ? ?of the time of work, they are well maintained. Overall, it’s very convenient to communicate on this headset- the microphone has good sensitivity so that the interlocutor hears your speech very well, in fact, as well as you will hear your interlocutor. 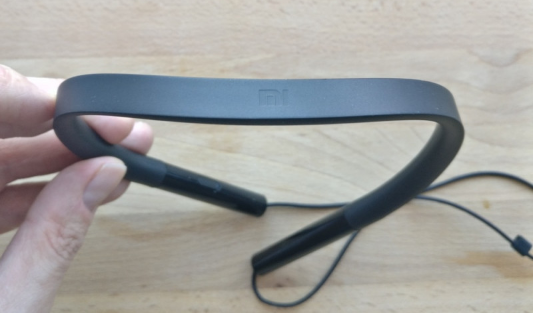 The Xiaomi LYXQEJ01JY Bluetooth Earphones are very light and mostly you will not feel a hoop around your neck. Now lets come to the sound quality of the headphones. Here the sound quality is as follows. 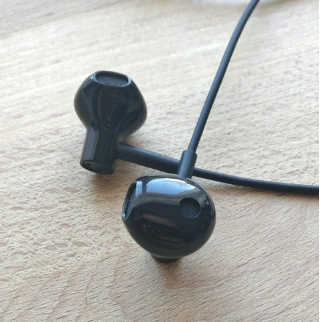 With high and medium frequency headphones transmit quite well for this form of droplets. These are not some heavy bass earphones, the headphones just sound normal without conflict between these frequencies. In general, they sound honest, we would say. However, of course, they cannot boast of bass – low frequencies cannot boast of pressure and are very conditional. 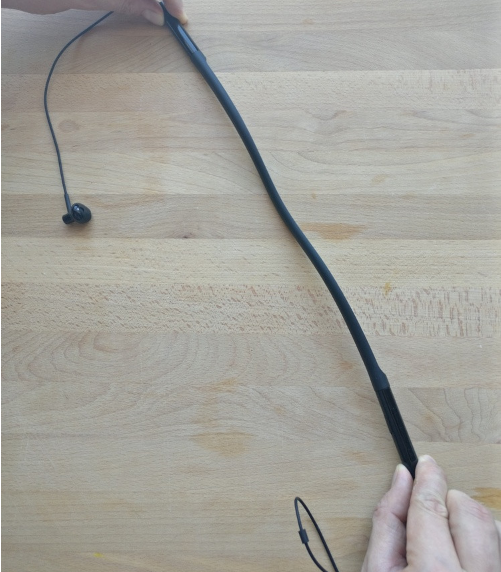 Overall, the Xiaomi LYXQEJ01JY Bluetooth Earphones working time corresponds to the stated quality of workmanship at a high level. The low weight of the device makes it almost imperceptible, however, the shape & design of earphones does not much help in sound insulation. So these headphones are best only for use in normal condition. The purpose of such headphones is not very convenient due to the penetration of external noise. In general, it turned out to be a good product in this segment of the market without a claim to something supernatural. 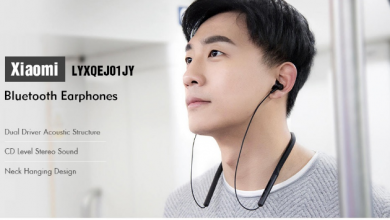 Where to buy Xiaomi LYXQEJ01JY Bluetooth Earphones? The Xiaomi LYXQEJ01JY Bluetooth Earphones are available at gearbest for $59.99.